RECIFE Paris is a French brand manufacturing flamboyant leather goods and fashion accessories since 1930, focusing on uncompromised quality and unique handmade products. These exquisite travel essentials have been especially created to be used by today's men and women on the move. Their slim and smart design will allow you to travel light and efficient. 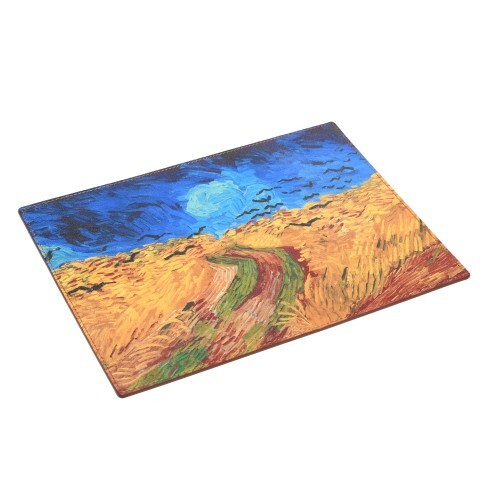 The Van Gogh Museum collection is made from soft leather, cut and assembled by highly skilled craftsmen. The leather is printed with a new high definition printer, specially designed to print on leather. RECIFE Paris is one of the few companies to offer this special technique and high level of finish. Handmade by RECIFE Paris exclusively for Van Gogh Museum.